A “happiness budget” is money set aside for things make you feel best day-to-day or things you simply enjoy the most. As a personal finance writer, I’ve read quite a few articles about how to limit your spending. 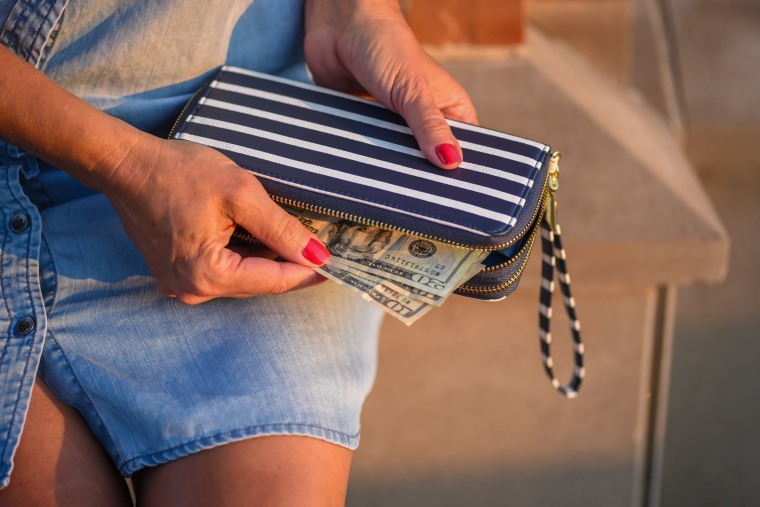 A lot of people in the online personal finance community preach frugality to a level where it becomes somewhat of a challenge — the less you spend, the more impressive you are. But to me, “money can’t buy happiness” is one of those mantras that gets thrown around a lot without much consideration. Sure, most people accept that having more material things doesn’t lead to being happier overall. But we also can’t deny that more money means more freedom. A famous study from Princeton claimed that more money coincides with higher levels of happiness only up until one reaches a salary of $75,000, and after that, happiness levels taper off. While that specific number is often argued, the basic idea rings true for a lot of us: we find trouble shaking off the idea that having more money would solve all of our problems, when just some more money would suffice. I can say that, in my own personal life, earning more money has correlated with more happiness. When I was working temp jobs in an expensive city for my first year out of college, I had to work more hours to try to make ends meet. While I still have yet to hit that magical $75K milestone, I’ve increased my income enough that more of my time feels like my own. It’s not that I’m simply spending more on stuff, but that the anxiety over money is diminished — I can work a regular amount without having to worry about making my rent or whether that extra Seamless order will push my credit card bill over the edge. Take, for instance, my monthly yoga studio pass. Many frugal-minded personal finance experts and would advise you to save that money and instead use YouTube videos or home gym equipment to stay active for much less money. But to me, that $95 a month is an investment in my own happiness. I leave every class feeling stronger, lighter and more flexible, and I’ve learned that I can’t get the same kind of motivation without the monetary component. I wouldn’t exercise nearly as much all by myself, and when I would, I wouldn’t push myself nearly as far. One reason may be that experiences tend to blossom as you recall them, not diminish. “In your memory, you’re free to embellish and elaborate,” says Gilovich. Your trip to Mexico may have been an endless parade of hassles punctuated by a few exquisite moments. But looking back on it, your brain can edit out the surly cabdrivers, remembering only the glorious sunsets. So next time you think that arranging a vacation is more trouble than it’s worth — or a cost you’d rather not shoulder — factor in the delayed impact. Summer is basically begging us to compare our lives to the ones we see on social media. But instead of focusing on what’s outside of you, consider starting your own happiness budget. It doesn’t have to be big — set aside as little as $10 or $20 a week, and put it towards anything that genuinely contributes to your happiness. Is this going to create a lasting impact in the form of memories? Do I want to spend on this because I honestly enjoy it, or do I just think I should enjoy it because other people do? Is this pushing me in a healthy way? Is there something new I’ve been wanting to try, but haven’t out of fear or lack of time? Anything that is valuable to you and that genuinely improves your quality of life is an investment in your own happiness, and simply put, that alone is worth spending on.